Growing Up Green : WAIT!!!! HOLD THAT ORGASMATRON!!! The end of 1988, I was managing Sacred Reich, who was signed on Metal Blade Records. A call came in one day.......yes, on a landline......no fax machines, cell phones or internet connections back then...that changed our lives. Motorhead had a Christmas Metal Meeting planned, and a band had to pull off. Death Angel had to cancel and the spot on the bill was being offered to Sacred. I was frikken happy, but of course, one flaw; we had to fly on Christmas Eve!! This was shortly after the PanAm bombing over the UK and we had to fly to LA to catch the flight to Germany. As we boarded the plane...with the other 20 people..we were submerged by TV cameras and reporters asking how we felt about being on the first flight cleared to fly the same route as the doomed airplane that was bombed. We were apprehensive, yes, but the excitement of our first ever trip to Europe was stronger than fear. The only thing that was a bummer to me was telling the kids that Santa was coming on a different day and chose our home to stop at early....it was a sketchy story, but they believed it somewhat. I really don't know how we managed to complete the tour! I had gotten some tour support from the label but hadn't made any arrangements for travel or anything else. I didn't even know they had various kinds of currency! I got off the plane feeling a bit hungover from all the champagne given to us, and went to sort our transport. 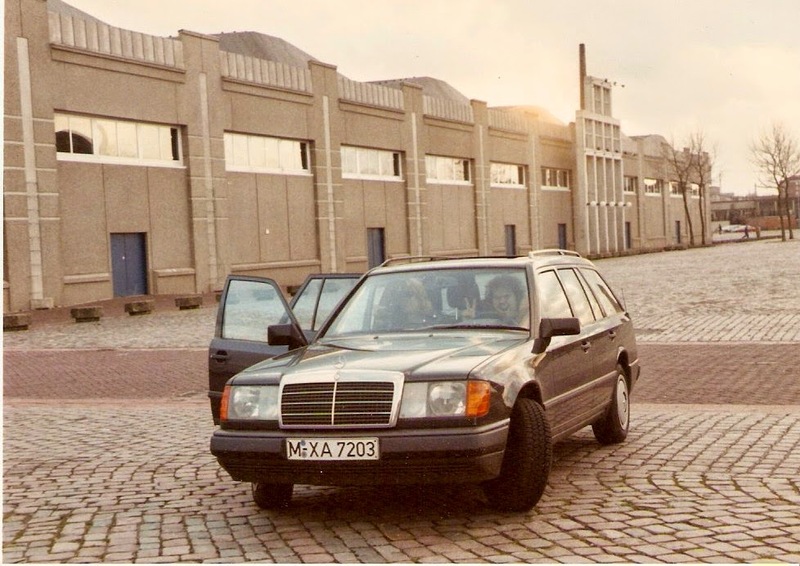 Don't ask me how I did it, but we left the airport in a Mercedes station wagon! I had no credit card but swindled a Mercedes! We thought we were flying high! We had to drive to Bremen which is in the north of Germany. The airline lost all my clothes and I decided I would wear Wiley Arnett's clothes because he was similar to my thin frame. Another problem solved. Next up was how to eat. It was Christmas Day and I thought we could walk in anywhere and spend the $100 bills I had stuffed in my backpack. Wrong! First off there were no restaurants open on Christmas Day and even if they were open, they certainly wouldn't take my Dollars. I learned fast! We stopped in every small town and looked for food but struck out. Arriving at the Mercure Hotel in Bremen, I was relieved to find a money exchange and restaurant. The rooms were fantastic to us, with German beer glasses and little doilies everywhere! I am quite sure we ripped off anything that looked like it was German! I, however, looked ridiculous, wearing Wiley's sweatpants tucked into knee high stiletto boots and huge shirts! When we arrived at the venue, we met our German tour manager, Torsten. He lasted approximately one day! Thats how long it took me to realize I knew as much as he did about shows and the production. 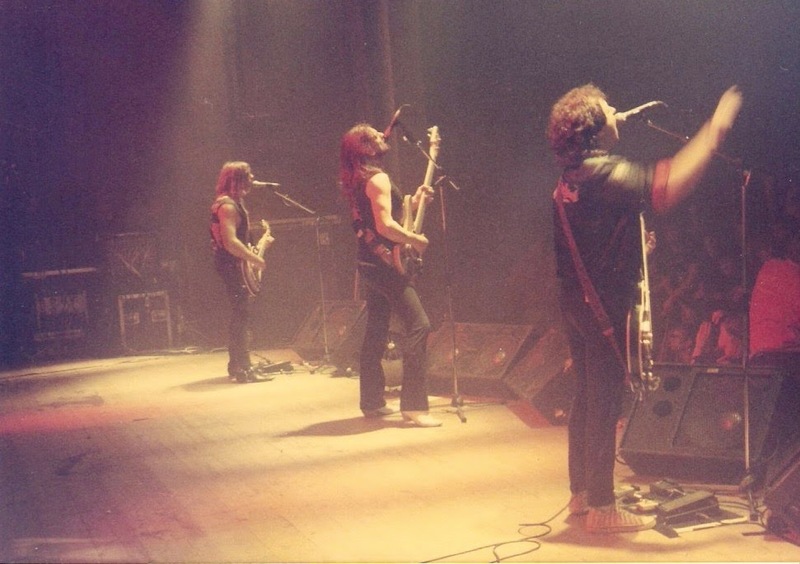 The trouble arose when Motorhead said they were tired and asked Sacred to go on after them. I wasn't consulted, but of course I would have agreed with anything asked of us...almost. 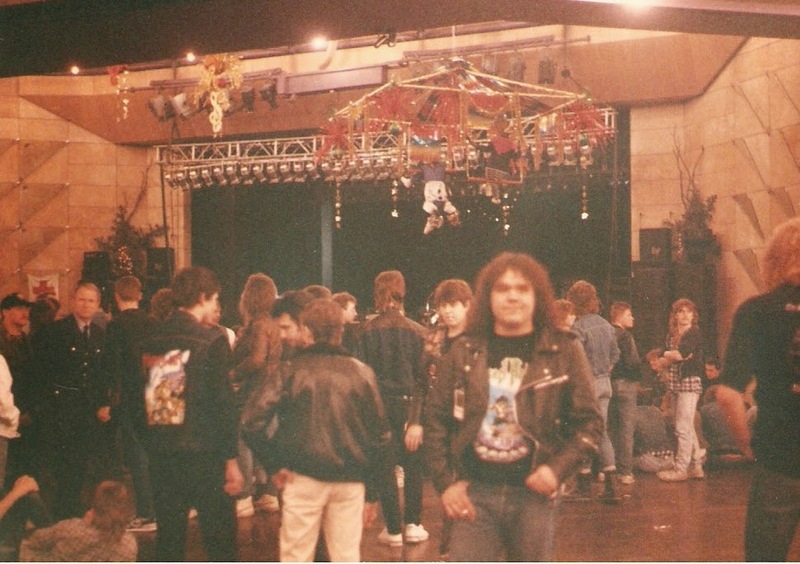 As we suspected, the crowd flooded out after Motorhead and we were left with about 300 diehards compared to the 1000's of fans stuffed in earlier. Torsten walked up and said, "thats rock and roll" and it was the last arrangement he made for us! 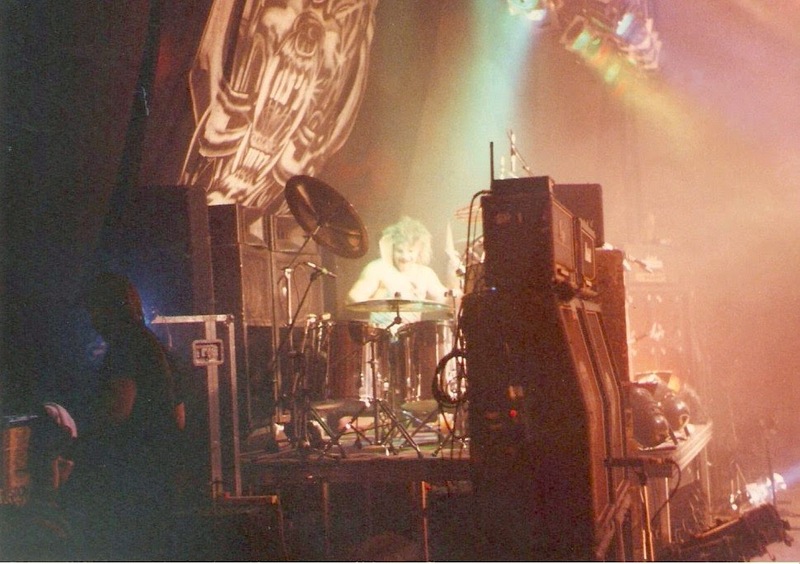 We soon snuggled our way into the tour; partying daily with Motorhead and Destruction, who was also on the bill. 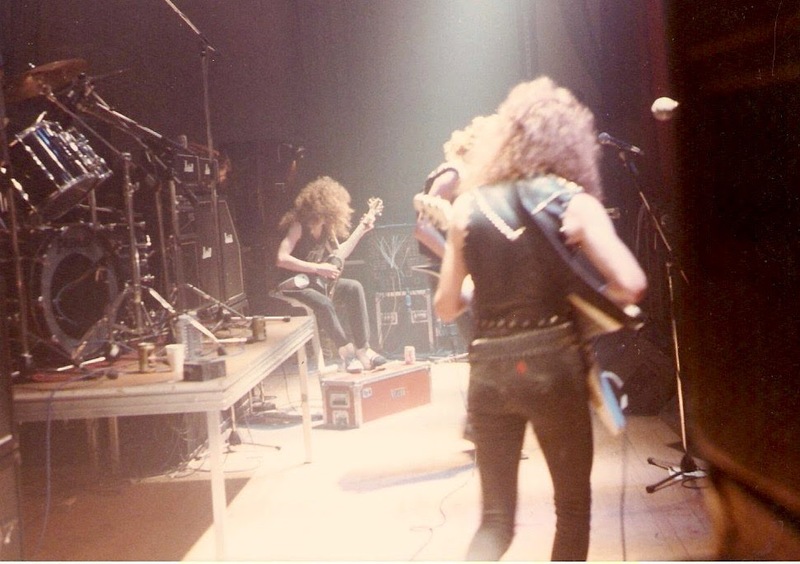 Candlemass and their Messiah also became great friends with us. Phil Campbell struck up a friendship and we hung out often. 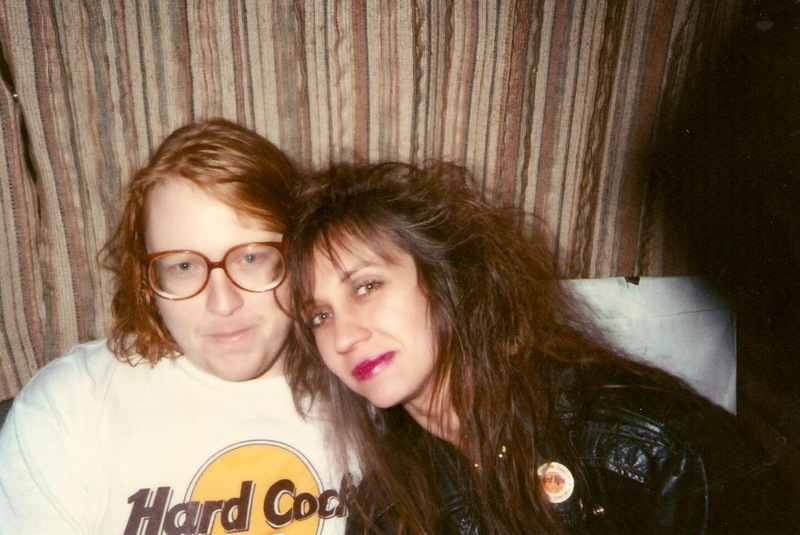 He would bring me on the side of the stage to hang out and at the last day, he gave me a cool Motorhead wall clock that still hangs in our kitchen! We are still friends and get happy when we reconnect on tours, through the years. We played the 4 German shows and then drove to Holland, for a headline show in the tiny Dynamo club. We were so excited to play and visit Holland. We were prepared to Cheech and Chong our day away. The first thing we asked was 'Where is the weed?' We were sent to a green door in a little tucked in road. It had a number 9 or something on it. We knocked on the door and went up the stairs and came down happy, a bit later. The club only held about 90 people and it was stuffed!! The funniest part I recall is when Jason Rainey's pedal got flipped upside down and he did hand motions and neck jerks trying to tell me to flip the pedal over. Haha! Yes I was the crew too! 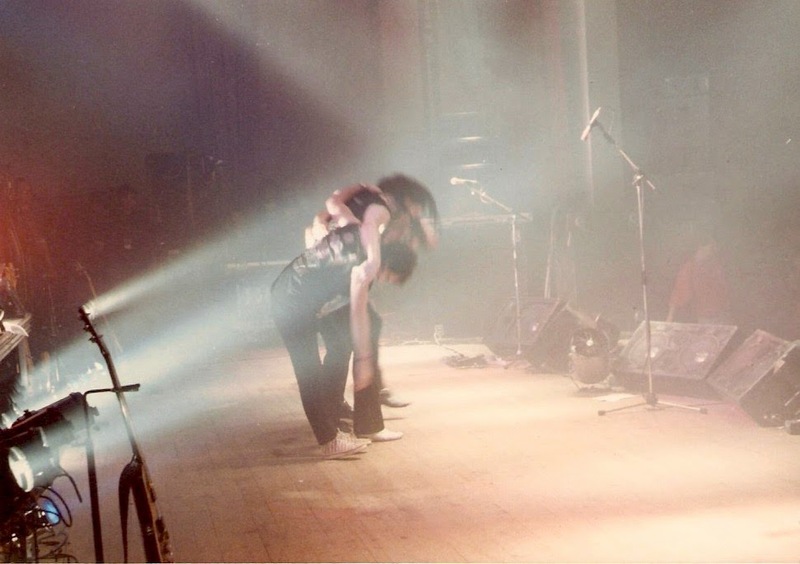 To get off the stage, you had to stage dive in the crowd and they carried you to the entrance. Even I jumped! We flew home triumphant! 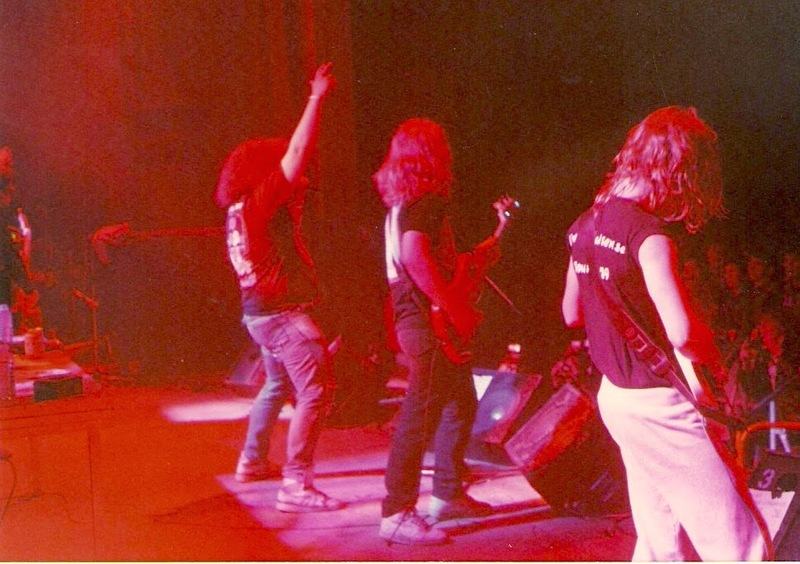 Many offers followed and Sacred exploded into the early Metal scene......and I did too! HAPPY THANKSGIVING AND A BLACK METAL FRIDAY!! !